Sightsee of the Drepung Monastery, Sera Monastery and Norbulingka in Lhasa. Drepung Monastery, the largest and richest monastery in Tibet, was founded in 1416 by a disciple of Tsong Khapa under the patronage of a noble family and later enlarged by the Fifth Dalai Lama. 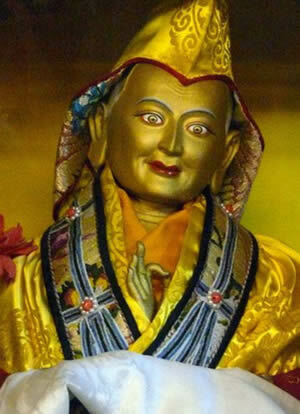 Nowadays it stands as Tibet’s most important and largest monastic university in Tibet. 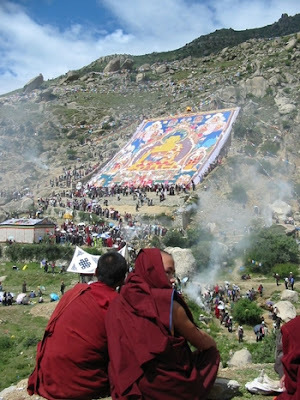 Drepung Monastery It was founded in 1416 by Jamyang Choge Tashi Palden (1397–1449), one of Tsongkhapa's main disciples, and it was named after the sacred abode in South India of Shridhanyakataka. Drepung was the principal seat of the Gelugpa school and it retained the premier place amongst the four great Gelugpa monasteries. The Ganden Podang (dga´ ldan pho brang) in Drepung was the residence of the Dalai Lamas until the Great Fifth Dalai Lama constructed the Potala.Drepung was known for the high standards of its academic study, and was called the Nalanda of Tibet, a reference to the great Buddhist monastic university of India. Old records show that there were two centres of power in Drepung: the so-called lower chamber (Zimkhang 'og ma) associated with the Dalai Lamas-to-be, and the upper chamber (Zimkhang gong ma) associated with the descendants of Sonam Drakpa, an illustrious teacher who died in 1554. 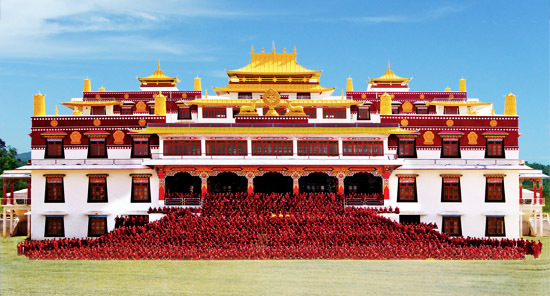 The estate of the Dalai Lamas at Drepung monastery, called Ganden Phodrang, had been constructed in 1518 by Gendun Gyatso Palzangpo (1476–1541), retrospectively named and counted as 2nd Dalai Lama. Tibetan Buddhist Resource Center attributes the following Name variants to Penchen Sönam Drakpa: "bsod nams grags pa [ primaryName ], paN chen bsod nams grags pa [ title ], khri 15 bsod nams grags pa [ primaryTitle ], rtses thang paN chen bsod nams grags pa [ title ], gzims khang gong ma 01 bsod nams grags pa [ title ], this last one referring to the Seat of the Upper Chamber established in 1554. According to tbrc his successors referring to the estate of the Zimkhang Gongma were Sonam Yeshe Wangpo (1556–92), Sonam Gelek Palzang (1594–1615) and Tulku Dragpa Gyaltsen (1619–1656) - closely connected to the famous story of Dorje Shugden. (Some say that Drakpa Gyeltsen was Sönam Drakpa’s second reincarnation, but usually he is considered to be the 4th incarnation of Panchen Sonam Dragpa . Drepung MonasteryOn September 27, 1987, about 20 Drepung monks unfurled banners and the Tibetan flag and marched around the Barkhor in Lhasa, before being arrested in front of the Tibetan Autonomous Region Government Headquarters.